A.W.A.K.E. was founded in 2012 by Natalia Alaverdian. A.W.A.K.E., an acronym for All Wonderful Adventures Kindle Enthusiasm, is to propose a personal and distinct voice through clothing that balance conceptual, storytelling aspirations with commercial viability. Keynote designs are Natalia's take on classic shirting, tailored coats, and dresses, each with an idiosyncratic quality underlined by a succession of very specific inspirational references of animals and characters from history, art and film. The major reference point and inspiration for all of the collections so far have been deviated from the Japanese art and culture. 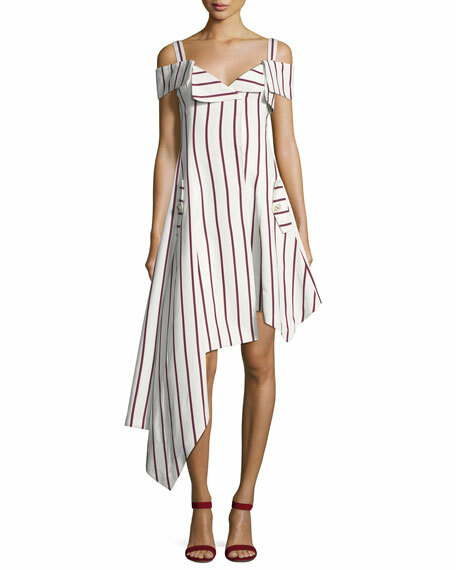 Alexis "Daniele" striped dress with asymmetric hem. Sweetheart neckline. Short sleeves. Button flap pocket detail. 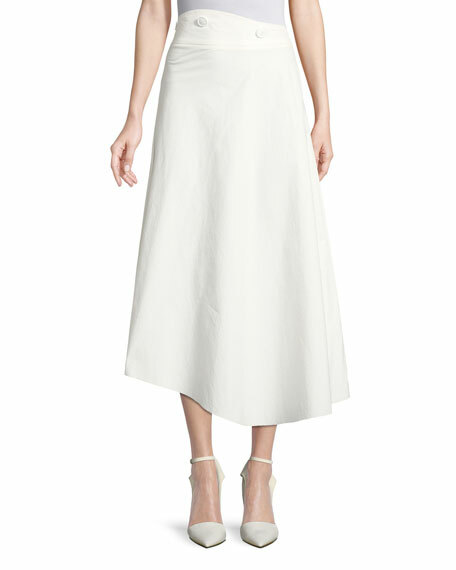 A-line skirt. Pullover style. Maxi length. Cotton/viscose. Imported. 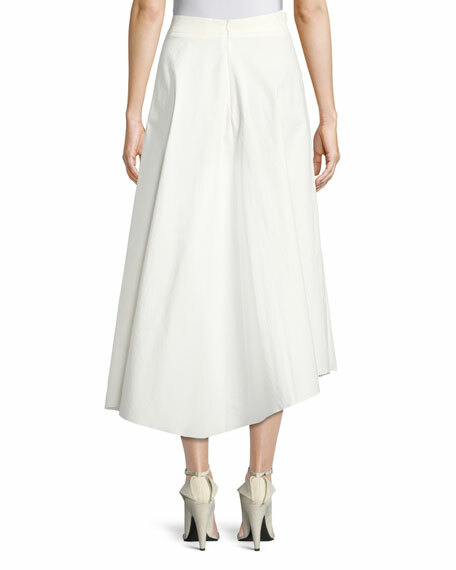 Derek Lam 10 Crosby skirt with trench-inspired details. A-line silhouette. Side slip pockets. Back patch pockets. Double-breasted button closure. Mini length. 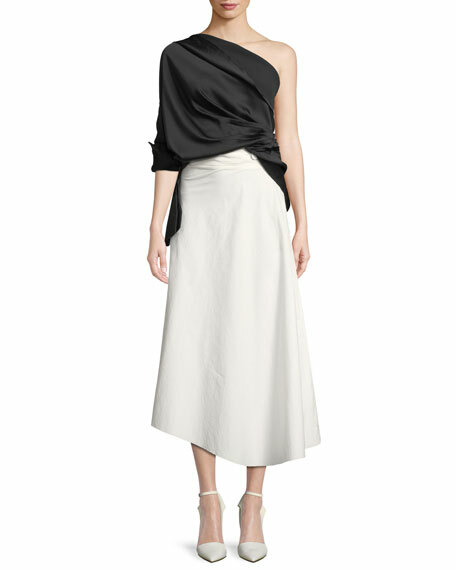 Asymmetrical hem. Cotton; polyester lining. Imported. 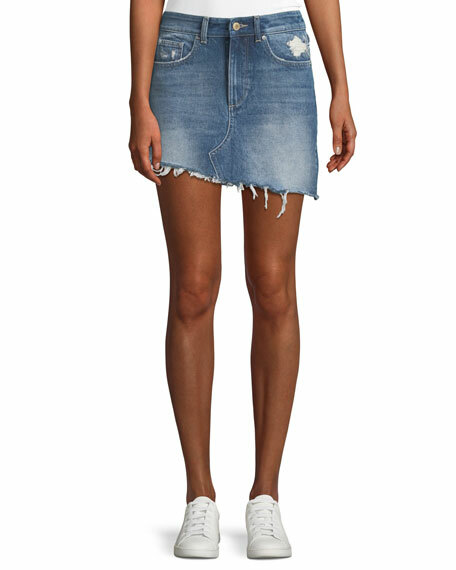 DL 1961 Premium Denim skirt in faded denim. Mid-rise; belt loops. Button-zip fly. A-line silhouette. Mini length. Asymmetric, raw-edge hem. Cotton. Imported.